In Lieu of Flowers: Alzheimer's Association (Greater New Jersey Chapter) 425 Eagle Rock Ave. (Suite #203), Roseland, NJ 07068. Barbara was born in Bayonne, NJ to Frank and Ruth O’Rourke (nee Fitzsimmons) and moved to Parsippany, NJ where she was a life long resident. Barbara was a custodian for Morris Hills High School in Rockaway before retiring many years ago. 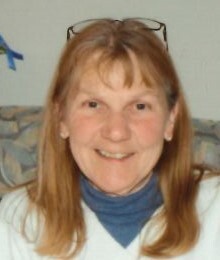 She is now joined in Heaven, by her sister, Kathleen A. Schlitt who also passed away on Tuesday, April 1, 2019. Survivors include her brother-in-law, John H. Schlitt; her nephew, Brendon Schlitt and his wife, Cynthia; her niece, Heidi Munn and her husband, Paul; & her great-nephews: Callum, John, Benjamin, Theodore, and Preston. Relatives and friends are invited to attend her Liturgy of Christian Burial to be offered on Friday, April 5th 2019 at 10:00a.m. at St. Christopher RC Church 1050 Littleton Road, Parsippany. Cremation: Private. Visitation will be on Thursday from 4:00pm – 7:00pm at the Par-Troy Funeral Home 95 Parsippany Road, Parsippany (973) 887-3235. In lieu of flowers, please make donations in her memory to Alzheimer’s Association (Greater New Jersey Chapter) 425 Eagle Rock Ave. (Suite #203), Roseland, NJ 07068.